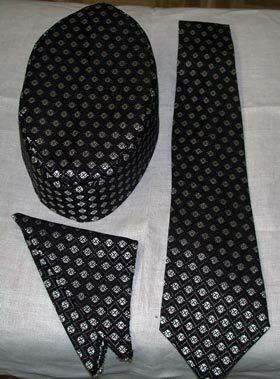 Designer longtie, hankie and matching sailboat style kufi hat. Exclusively design with silk black and silver goerge fabric. Perfect for Grooms, Groomsmen and formal occasions. Please select your hat size.